Virgin Australia chief executive John Borghetti has welcomed calls for a review of Sydney Airport’s hourly movement cap and the regulatory arrangements for regional services. The recommendation was included in the Productivity Commission’s (PC) draft report into its inquiry of the economic regulation of Australia’s airports, published on Tuesday. The draft report noted Sydney Airport’s cap, which is for no more than 20 aircraft movements in a 15-minute period, did restrict the effect of aircraft noise on local residents. However, the cap also reduced the airport’s efficiency. The Productivity Commission called for the Australian government to commission a public review of Sydney Airport’s slot management scheme to consider possible reforms to the current arrangements. “Changes that increase the flexibility of the movement cap and that target noise outcomes more directly would most likely improve the operational efficiency of Sydney Airport as well as airlines,” the draft report said. The report said the average number of aircraft movements rarely exceeded 70 movements an hour, even in peak periods. This was well below a potential 80 aircraft movements an hour allowed under the cap. Borghetti said Virgin Australia has long supported a change to the way the hourly movement cap is calculated, arguing it added unnecessary costs for airlines, was bad for the environment and reduced productivity in the national economy. “I’ve been in the flight deck of a plane when we get to that 15th minute, or whatever minute it is, and the control tower says you’re going to have to circle for a couple of times because we just got to wait for the next clock to tick,” Borghetti told reporters in Sydney on Wednesday. The report also argued reforms to the “regional ring fence” in place at Sydney Airport, where a number of takeoff and landing slots between 0600-1100 and 1500-2000 are earmarked for regional services, would support more flights to regional destinations. “The cap on regional slots in peak periods and the fact that non-regional slots in peak periods cannot be used for regional flights prevents airlines from testing and growing regional routes,” the draft report said. “Changes to the regime to allow airlines to use non-regional slots for regional air transport would enable them to more easily trial regional flights in peak periods (when spare regional slots are scarce), more flexibly respond to changes in market demand on different routes, and more efficiently use their aircraft. Borghetti said statistics showed regional New South Wales was suffering because of the current arrangements for slots, which he said had limited growth and often led to higher prices as a lift in demand could not be met with increased services. Submissions to the inquiry, which commenced in June, included calls to change the current regulatory arrangements for the nation’s airports, which some have described as natural monopolies with no effective competition or reason to change or innovate and calls to change. The Australian Airports Association (AAA) told the Productivity Commission the current framework had led to better quality of service outcomes, cheaper airfares for passengers and increased discounts to airlines on international charges. The draft report said Australia’s existing regulation of the nation’s airports benefitted the community and remained fit for purpose. Further, it said Australia’s largest airports Brisbane, Melbourne, Perth and Sydney, which are subject to monitoring by the Australian Competition and Consumer Commission (ACCC) “have not systematically exercised their market power to the detriment of the community”. “Each has generated returns sufficient to promote investment while not earning excessive profits,” the draft report said. The Australian Airports Association (AAA), whose membership includes about 280 airports and aerodromes and some 120 aviation stakeholders and organisations, welcomed the conclusions of the draft report. AAA chief executive Caroline Wilkie said the report also accepted evidence put forward by the association that the rates of return at Australian airports were appropriate, while return on capital was below the global average. “The Productivity Commission’s conclusion that the current regulatory approach is working is a strong endorsement of airports’ efforts to increase efficiency and capacity at a time when demand for air travel continues to rise,” Wilkie said in a statement. Airlines for Australia and New Zealand (A4ANZ), established by Air New Zealand, Jetstar, Qantas, Tigerair Australia and Virgin Australia in 2017, was disappointed with the draft report. A4ANZ had called for changes to the current regulatory model to allow airports and airlines that did not reach agreement on a pricing regime during negotiations to have a decision arbitrated on their behalf. It had argued the current arrangements were “powerless to curtail airports’ market power”. However, the Productivity Commission draft report said a negotiate-arbitrate framework would have few benefits and many risks. “There is no doubt that some commercial negotiations between airports and airlines have been challenging but, on balance, the process and the outcomes reached give little cause for concern,” the draft report said. “A negotiate-arbitrate framework would have substantial perverse effects that would harm the efficiency of the sector and negatively affect passengers. A4ANZ chairman Graeme Samuel said the Productivity Commission failed to properly consider evidence presented in submissions to the inquiry that showed the system was not working. “It beggars belief that the PC could simply set aside such highly credible evidence from experts both in Australia and internationally in their choice not to suggest real change,” Samuel said in a statement. “It is clearly a totally inadequate solution to simply suggest increased monitoring in a regime that the ACCC itself acknowledges has no powers to enforce. Samuel said he hoped the public hearings around the country scheduled for late March would “bring to light yet more examples of airport customers being treated badly” and help underscore the need for change. 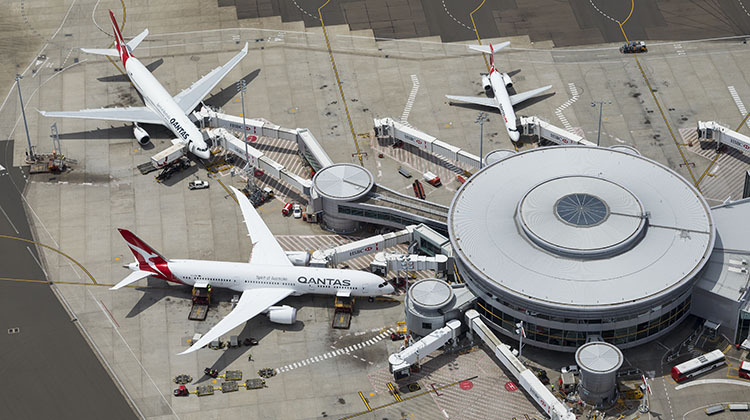 Qantas said in a statement on its website the Productivity Commission report “essentially endorses Australia’s airports to remain some of the most expensive in the world”. “That means the travelling public will continue to pay more at every stage of their journey, whether it’s car parking, taxis or airport landing fees,” Qantas said. 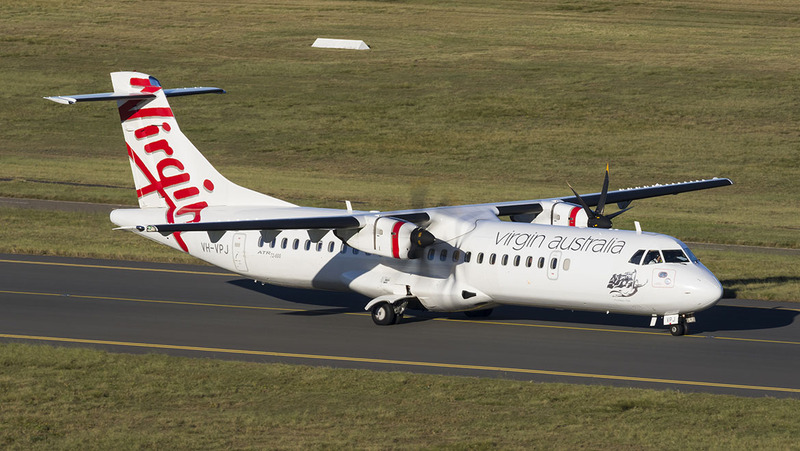 While Borghetti said Virgin Australia had good relationships with the airports the airline flew to, there still needed to be a better mechanism to resolve disputes. “I do think that at first glance it doesn’t appear as though it’s gone far enough but I want to reserve the final comments until we have time to go through it properly,” Borghetti said. While the Productivity Commission draft report did not see the need for change to the so-called light-handed regulation of the nation’s airports, it did recommend the ACCC boost monitoring of Australia’s biggest airports. “The current form of economic regulation remains fit for purpose although more scrutiny of Australia’s four busiest airports is justified to ensure prices paid by airlines and passengers do not lead to monopoly profits,” the Productivity Commission’s Paul Lindwall said in a statement. Submissions in response to the Productivity Commission’s draft report were due by March 25 2019. The full report can be read on the commission’s website. Get real about WSA, make it a proper airport with a new terminal, open 24 hours with no restrictions. Close KSA, or at least reduce it to a single runway with smaller terminal for domestic flights. Dave I think your suggestion is actually the plan.